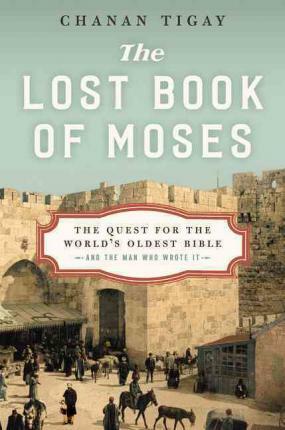 Recently I read The Lost Book of Moses: The Quest for the World’s Oldest Bible… and the man who wrote it by Chanan Tigay. I regret it. I boring and predictable “mystery” about a 19th century fake known to be fake at the time, The Lost Book of Moses is tied for the worst book I read this year. The story is this: Moses Shapira was a 19th century Jewish Anglican born in the Russian Empire and mostly active around Ottoman Jerusalem. He bought, stole, and sold legitimate antiquities, and apparently helped in forging an ancient version of the Book of Deuteronomy. Specifically, he forged a version exactly what a proponent of the “Documentary Hypothesis” would suggest with the Tetragrammaton, the Name of God, absent except for the first and last verses — it was, in other words, nearly exactly the “D+” suggested in this chart. Can one make a tale this exciting dull? Well, Tigay tries his best. A “follow the clues” narrative is created to attract Dan Brown crowd. Almost nothing about the ‘found’ version of Documentary, its differences, or the cultural context of its supposed composition are discussed. The author, an atheist, not only has a tenuous understanding of Judaism and Christianity, he does not bother to understand the places he visits, either. Weirdly, while he traveled to some locations (including Australia!) in the narrative, the most interesting locations in the middle east are entirely untouched. Improbably, there’s one detail that I independently have knowledge of, and I was disappointed (but by that point, not surprised) to see Tigay flub it. Tigay’s travels take him to see a former librarian at Moore Theological College, the home base of William Dumbrell (whose books The End of the Beginning and Covenant and Creation I recently reviewed). Tigay is surprised that the former librarian at this Anglican school attended a Presbyterian church. What are the odds? he asked. Well, Moore has often been a hot-spot for Reformed (which more-or-less means Presbyterian) Anglicanism. So, pretty darn high. Tigay’s task is made more difficult by his attempts to make Shapira, a deeply flawed man, heroic or even sympathetic. He stole from ancient Jewish communities, stole from his customers, stole from museums, destroyed ancient documents, and was generally a terrible person. That he destroyed his wife’s and his daughter’s lives make him more, not less, despicable. Shapira’s end — dead by his own hand after being exposed — is tragic. May God have mercy on his soul. A last word: Chanan Tigay’s The Lost Book of Moses is as disappointing and dull as another book I read this year: Jeff Ryan’s Super Mario. Chanan Tigay lives in San Francisco. Jeff Ryan is a “games journalist.” I’ve previously written of the high cost of low wages and how its harmed popular writing. The problem may be even worse than I suspected. I listened to The Lost Book of Moses in the Audible edition.